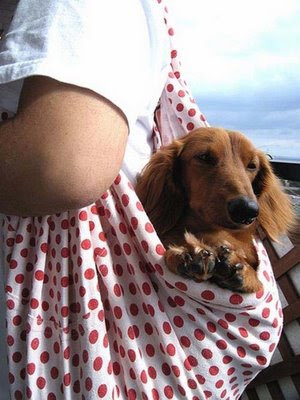 Dog in a Bag. This little guy looks very content riding along in this bag. So much for taking the dog out for a walk!